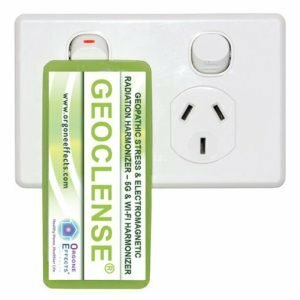 This is the super dooper pack that allows all family members to benefit from these amazing products designed to balance noxious, unhealthy energy created by all forms of EMR, EMF, Radio Frequency, WiFi and Earth Radiation to a healthier resonance. In this pack you receive the Home Harmoniser (for home and offices), plus 10 x Phone Harmonisers (ideal for all mobile phones and mobile devices such as Laptops, iPads & Tablets, iPods etc) and 2 x Car Harmonisers. Plus a pendant for all family members, 5 x Watch Harmonisers (suitable for FitBits, smart watch etc), 1 x Large and 1 x Small Energy Plate and 1 x Cabin Harmoniser for when you travel and finally a beautiful bamboo Orgone Blanket and 2 x Ener Bottles. For more information on these products please view the individual product pages. If you would like to choose between the shell pendant or from the colours available in the Ionic Pendants please call or email to discuss. This pack would normally retail at $1,550.00. With your 10% discount you will only pay $1,395.00.